Of all the projects the our Earth Lovers Team (Food Lover’s Market’s CSI division) work with this is one of my personal favourites. 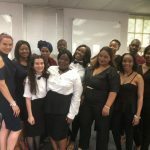 I was delighted to receive some pictures from Kate Marais, our CSI facilitator to add to our news blog. To describe it in my own words, the Jbay Recycling Project runs a store where local kids can bring in recyclables collect form all around, and in return they receive token to spend at the store. While Mom and Dad can give lists of staples needed, fundamentally the tokens belong to the kids and it is theirs to spend. Only kids are allowed in the store. Isn’t that great? The project has been running for 3 years and on average 320 children collect 2.8 tonnes of recyclables from the streets of Jeffrey’s Bay each week. Isn’t that an absolutely astonishing amount!? So where does Food Lover’s and Earth Lovers help? 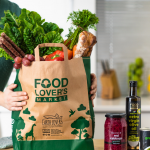 If you follow our Earth Lover activity, you will know that each and every Food Lover’s Market store has a local charity they are dedicated to and the partnerships with these charities last at least a year. Of course, in Jbay this is the one we work with. Each and every child that comes through the door of the project gets a free fruit or veg after their shopping. So your every transaction, no matter how big or small you will get some fresh produce to take home. A simple piece of fruit or veg is so overlooked by those of us that are sure to eat fresh produce each day and get the necessary vitamins and micronutrients we need. We have had feedback from the community stating that the participating children showed less absenteeism and sickness since the initiative has started. It’s such good news for us and the team at the store, and of course Kate. You can read more about the project, donate items or volunteer your time by visiting their website: JBay Recycling Project. If you’re passing through this popular holiday destination, why not stop and check out the great work they do.